The year 2011 marks the centennial of the publication of Wassily Kandinsky’s classic text, On the Spiritual in Art. Inspired by this anniversary, this project seeks to explore the place of the spiritual in contemporary art and to propose a challenge to the current devaluation of the inner life that prevails within the art world in our market-driven era. Beginning today – Wednesday, March 30th – a ten-day virtual symposium moderated by Taney Roniger and Eric Zechman will be held in this forum. Our symposium participants are: Suzanne Anker, Laura Battle, Connie Beckley, Anney Bonney, Deirdre Boyle, Nathaniel Dorsky, Jeff Edwards, James Elkins, Max Gimblett, Tom Huhn, Atta Kim, Roger Lipsey, Enrique Martinez Celaya, Joseph Nechvatal, Daniel Siedell, Charlene Spretnak, David Levi Strauss, Alan Wanzenberg, and Pawel Wojtasik. For participant biographies and other project details, please visit our site: www.beyondkandinsky.net. 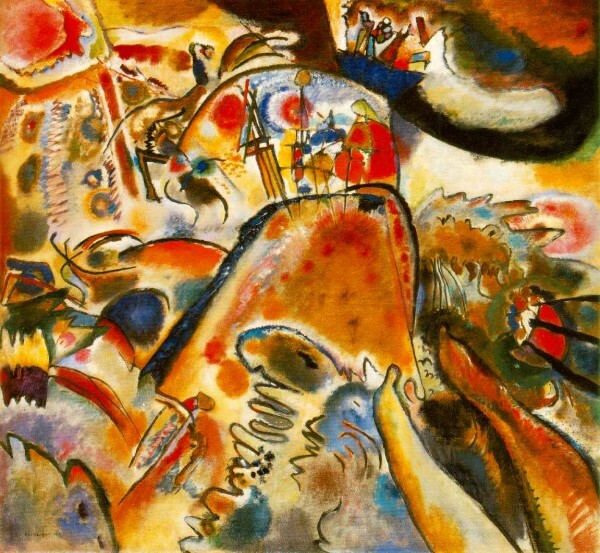 (1) How have our ideas about the spiritual changed with the dissolution of the Modernist dream, in which Kandinsky’s vision was so deeply embedded? Yes. We know much more about the world’s cultures. For instance: the phenomenal growth of American Buddhism; our understanding and study of Indian Gurus; and the emergence of current Indian Art. (3) What might account for the deep suspicion — or indeed denial — of the spiritual shared by many artists and intellectuals in our culture?